In this multiple exposure photo, the Canadian Harvard Aerobatic Team flies over the runway during the afternoon air show at AirVenture in Oshkosh, Wis., on Thursday, July 26, 2018. All four pilots are from Ontario. 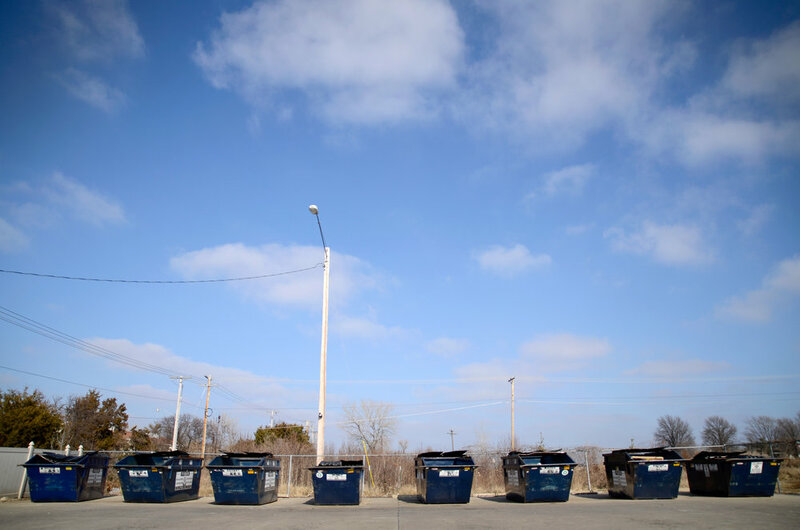 Eight recycle bins line the edge of the recycling drop-off location on State Farm Parkway in Columbia, MO, on Friday, Jan. 23, 2015. These bins accept the same recyclable items that can be placed curbside, but plastic bags are not allowed in these containers. People raise their palm leaves during the Blessing of the Palms at the intersection of Ninth Street and Broadway in Columbia, MO, on Sunday, March 29, 2015. About nine churches from downtown Columbia participated in the event. People celebrate with a 'color explosion' after completing the Color Dash 5K at Stephens Lake Park in Columbia, MO, on Saturday, April 6, 2014. Proceeds from the event went toward the local Humane Society. 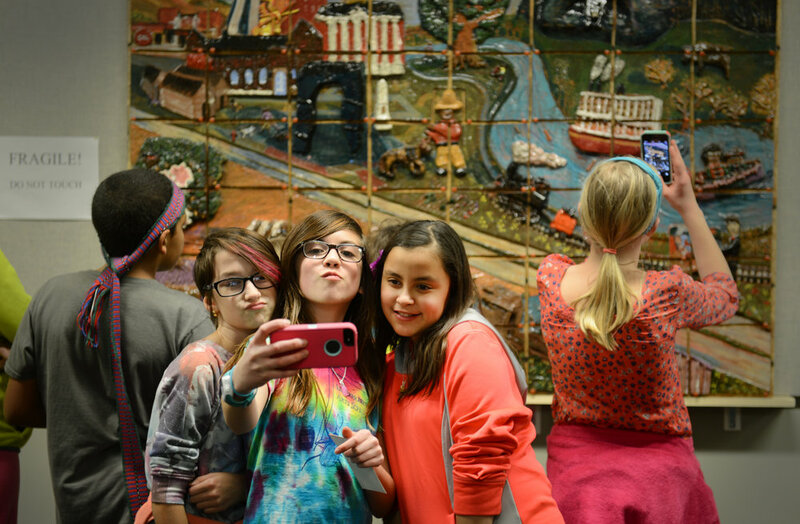 From left, Lee Expressive Arts Elementary students Devin Hall, 10, Ellie Bacon, 11, and Keya Beamer, 10, take a selfie in front of the mural they helped create on Tuesday, March 3, 2015, in Columbia, MO. The fifth grade class at the elementary school made the mural for the State Historical Society. Steve Powell points to a friend during the True/False Jubilee masquerade Thursday, March 3, 2016, at the Missouri Theatre in Columbia, MO. Powell and his wife, Kristi, were sponsors of the festival and had been attending the festival for five years. Jason Isbell performs at Roots N Blues N BBQ in Columbia, Mo., on Saturday, October 1, 2016. This was Isbell’s second performance at the festival. 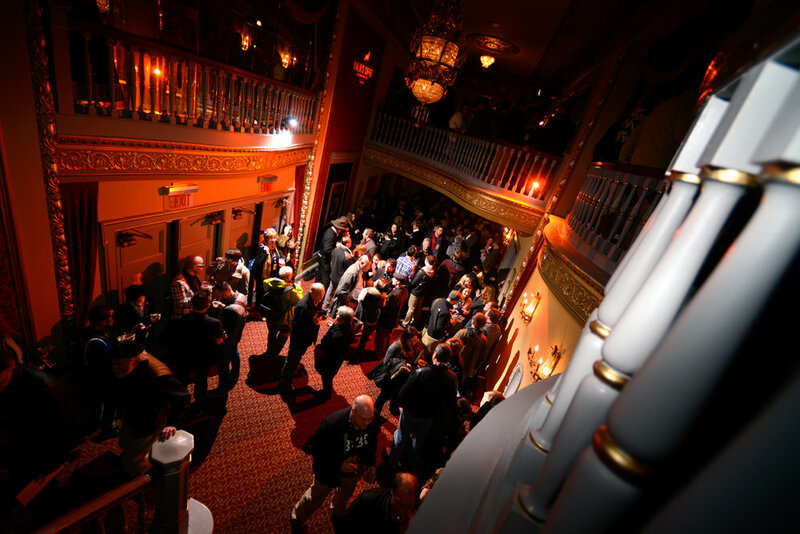 Crowds mingle during the True/False Jubilee masquerade at the Missouri Theatre on Thursday, March 3, 2016, in Columbia, MO. The idea for the festival began in 2003, and attendance exceeded 49,500 that year. Orange Coast College defensive lineman Josh Odigie celebrates with his teammates after winning the football game against rival college Golden West on Nov. 7, 2015, in Costa Mesa, CA. The Orange County College football team won the Victory Bell for the first time since 2009.